One issue I personally find irritating is having a strawberry nose. Do you know what a strawberry nose means? It's when your nose resembles a strawberry when it has tons of blackheads! 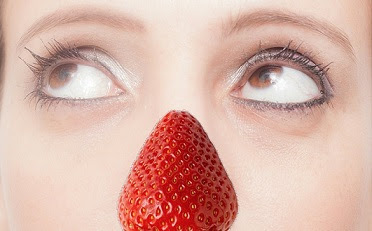 In Japan, "strawberry nose" refers to a nose that is covered in blackheads. Blackheads resemble strawberry seeds which makes the nose look like a strawberry. No girl ever wants anyone to say that she has a strawberry nose. Or worse case scenario, when the boy she likes comes up close and sees the blackheads on her nose. 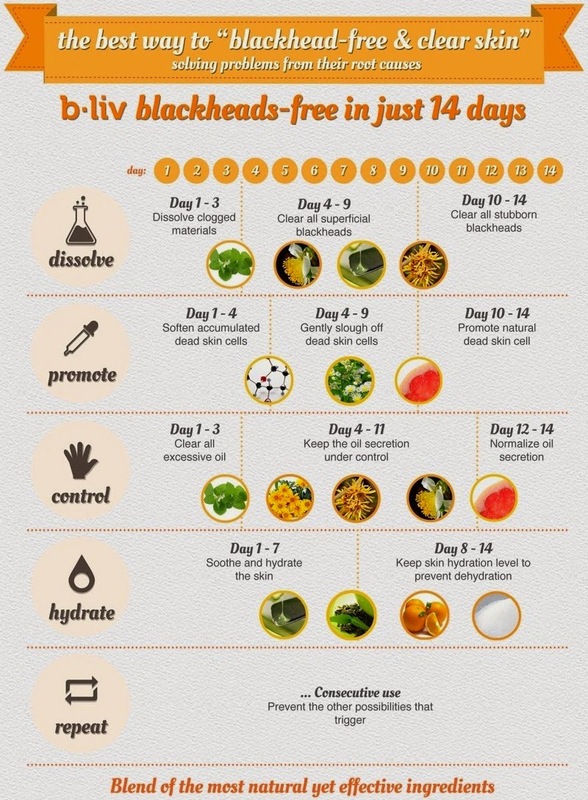 Do you know how blackheads are formed? It's actually due to oil, dust, sweat and bacteria that you are exposed to every single day that clogs up your pores. 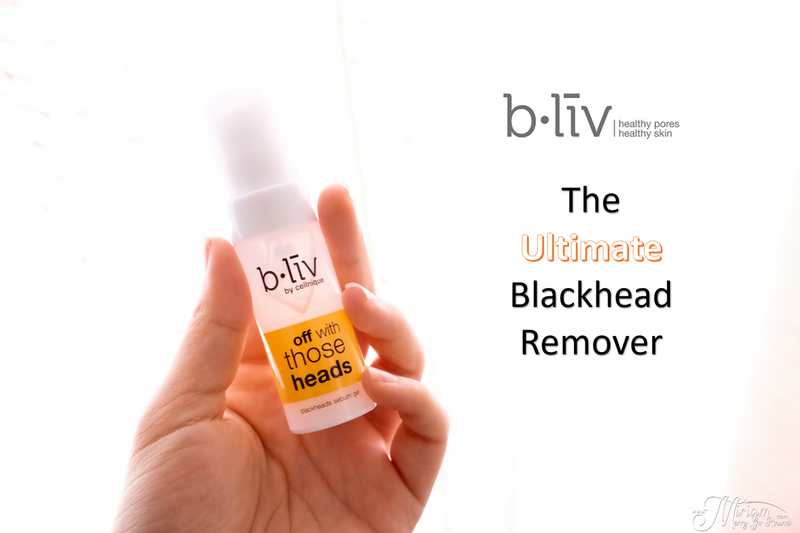 Overtime, blackheads are formed and voila! There you have your very own strawberry nose. There are so many products out there that helps to solve this issue. From extraction by force, nose strips, gels, etc. I personally hate pressing or extraction by force. Whenever you go for facial, the beautician would start pressing and pressing your nose to get all your blackhead out. By the end of the session, you might come out looking like Rudolph, the red nosed reindeer. 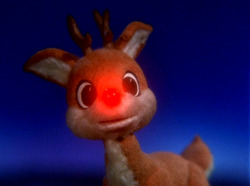 Well, I'm not saying that Rudolph ain't cute because he definitely is but I sure do not want to walk our of the facial centre looking like one. I used to use nose strips which doesn't really work that well for me and oh boy I hate the time to pull of the strip like a bandaid. It hurts! 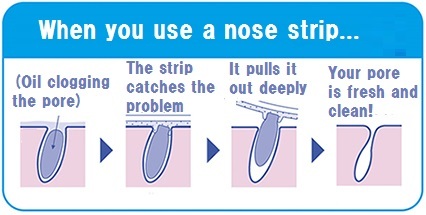 There seem to always be left over residue after using nose strips as well so I stopped using it after a while. Then, I was introduced to b.liv Off With Those Heads gel. I actually heard tons of raving comments about this product and that it really works so I decided to put it to a test, not only on myself but also on several other white mice. The product comes in a little bottle which is so convenient to bring along especially if you are travelling. Initially I wasn't sure of how it works and I thought it was a cleanser of some sort but then I realised that it was actually a leave on product. Just one pump and you would have sufficient product to apply it on your nose. The product is a transparent clear gel which absorbs into the skin really well leaving a cooling sensation after application. It contains tea tree oil, peppermint oil, aloe vera extract and witch hazel extract that helps soften the blackheads, allowing for effortless extraction. Plus it also helps to control your oil secretion and has powerful antiseptic, anti fungal and anti bacterial properties; great for acne skin. My personal experience is that I am amazed on how this product work! The gel actually gets absorbed really well and dries clear. My nose immediately felt smooth and I could see a significant difference in terms of my whiteheads. 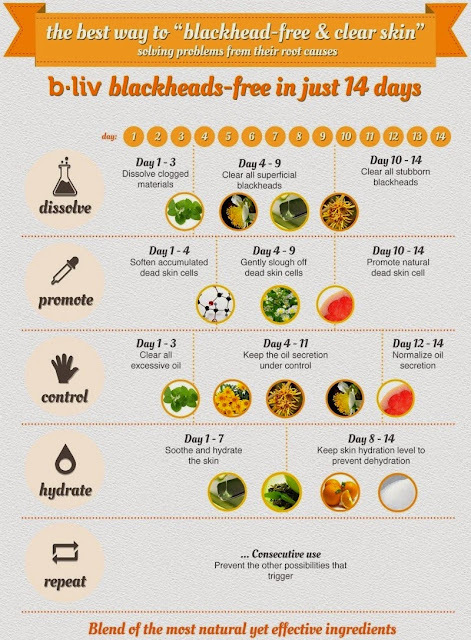 I do not really have blackheads problem but whiteheads, I have tons which if I leave it alone will turn into blackheads. After using the product, I realized that over the day, my pores did not secrete as much sebum and my T-zone did not look as shiny as it normally does over the day. I also realized that over time, my pores look smaller and not as apparent. I really recommend this product that honestly took me by surprise. You only need a bit of product each time and you can try it out for 14days first to see the effect. One bottle can probably last you quite long too. 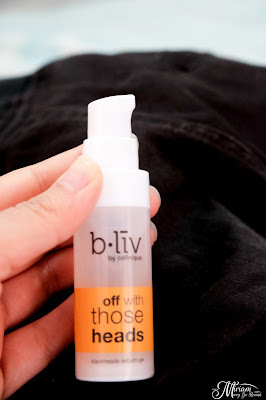 You can now find the b.liv Off with Those Heads (RM99, 15ml) at all Sa Sa outlets in Malaysia and online at www.bliv.com. Time to get rid of that strawberry nose!